Walker Auto Service LLC - serving Grand Rapids, MI 49534 with great auto repair! Check out what we can do for you and your vehicle! Walker Auto Service LLC Offers Auto Repair Services You Can Count On! Walker Auto Service LLC has been providing customers in the Grand Rapids, MI 49534 area with high-quality automotive maintenance and repair services since 2008. Our experienced mechanics will get your vehicle up and running again, and we'll keep it in top operating condition. To learn more about our services, call us at 616-453-3877 or email us today. 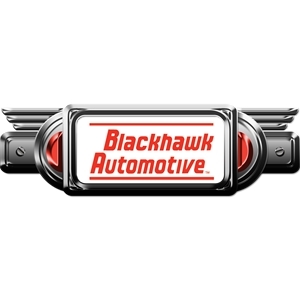 We're looking forward to earning your trust as a friendly, honest and reliable alternative for your auto maintenance and repair needs in Grand Rapids. I don't even live in the area anymore and I make sure anytime I have a car giving me issues, I get it taken to Walker Auto. Over the last eight years, I have brought six different cars in for work, and they have been very knowledgeable about all of them. They're not pushy, they're very matter-of-fact, fast, and professional. Its finally nice to take my car somewhere thats honest. Highly professional. I am recommending to all my friends. They were able to fix my car the same day and were less expensive than two other shops. Much appreciated. I live 54 miles away and needed my alternator fixed ASAP so I could get back home. I called all over GR first at the bigger service shops and NO ONE could get me in for a week or two, I thought all was lost. I searched one more time in walker for service shops and these wonder people came up on Google. As a final attempt I called in tears and told them about the situation and right away they had me bring my car down and fix it. If it wasn't for these awesome men I would be stranded still. :) :) :) :) I have now found my new service shop for my car. Super friendly. Fixed my truck the same day I bought it into them. AWESOME!